Sebastian Kurz has become Europe’s youngest foreign minister, after Austria swore in its new coalition government. 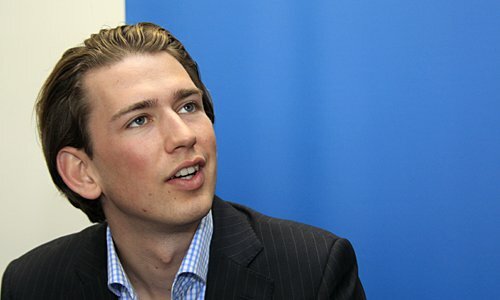 Sebastian Kurz, 27, was one of 12 ministers confirmed by Austrian President Heinz Fischer in the capital Vienna. Before taking up his new role, Sebastian Kurz was state secretary for integration. Seen as a rising star in the People’s Party, Sebastian Kurz had earned praise in his previous post for his work in schools and with Muslim immigrants. Sebastian Kurz also established free language classes for Muslim religious leaders and launched a forum for dialogue with Islam. Although the ruling parties have won another five-year term in a coalition, last month’s election was their worst result since World War II.